To go with yesterday’s vegetarian Thai soup (if you use vegetable stock and tofu), I thought it’d be nice to show you the vegetarian Thai salad I made to go with it for lunch one day. IT’S TWO VEG DISHES IN A ROW! It’s like Panera, but sans chemicals. Oh, and, it’s delicious too. 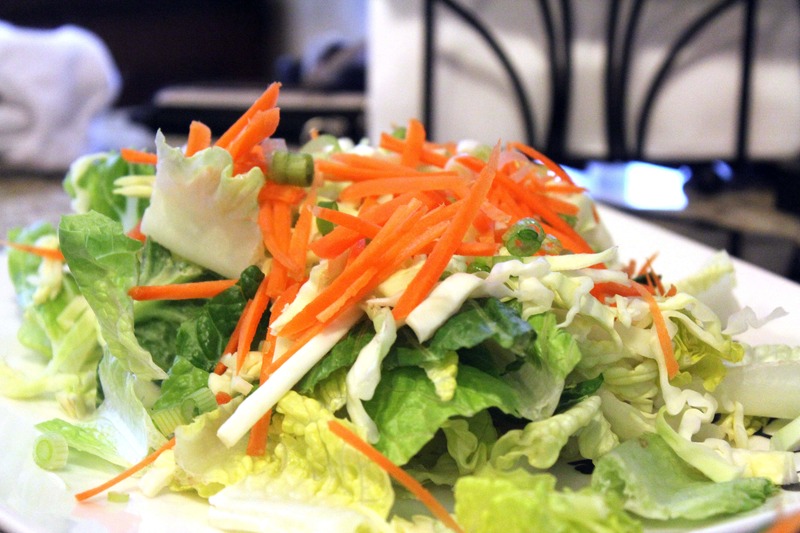 This salad can be made with any veggies that you like, of course. 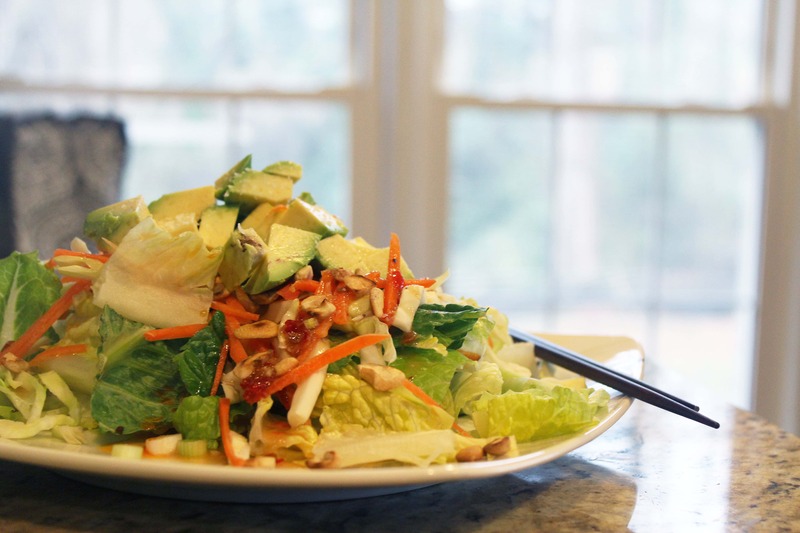 The dressing is what MAKES it, and this recipe makes enough for 4-6 salads. Make a double batch and keep it in the fridge – it’s great to have around! Obviously, the dressing is a cinch to make. 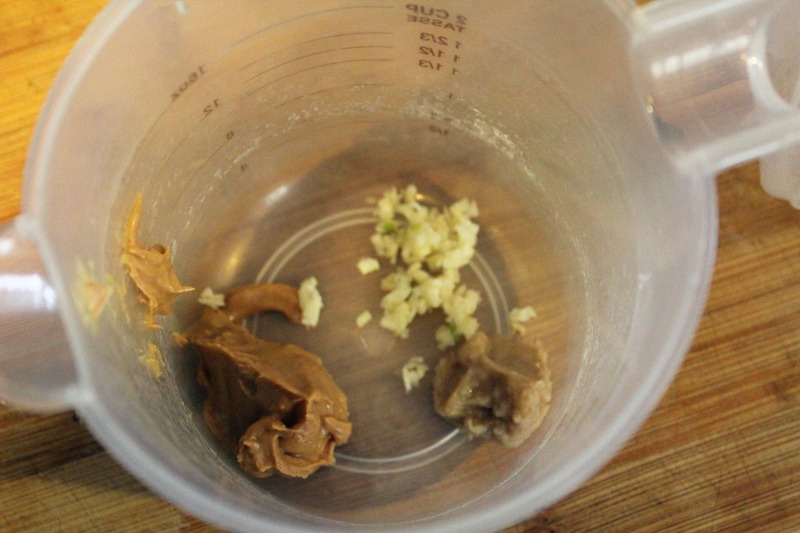 Put the peanut butter, ginger, and garlic in the bottom of a dish. Then, add the rice vinegar and chili sauce. 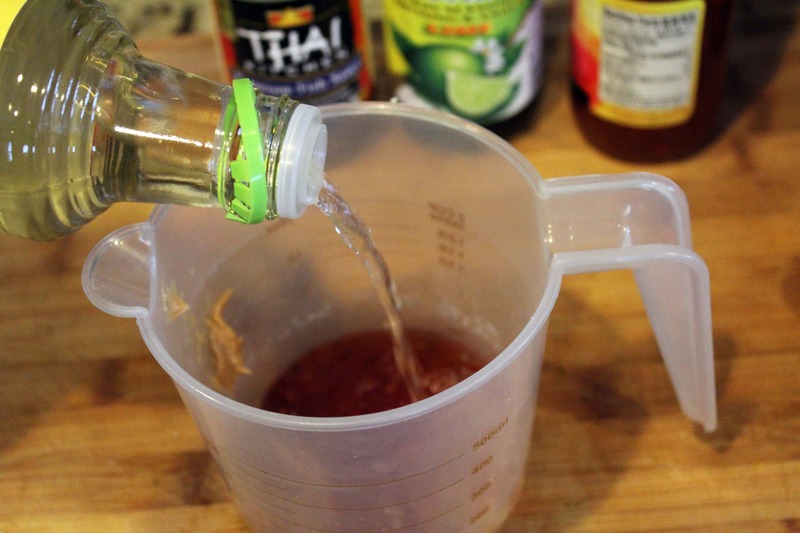 Add the fish sauce and ponzu, or use soy with a splash of lemon or lime juice. 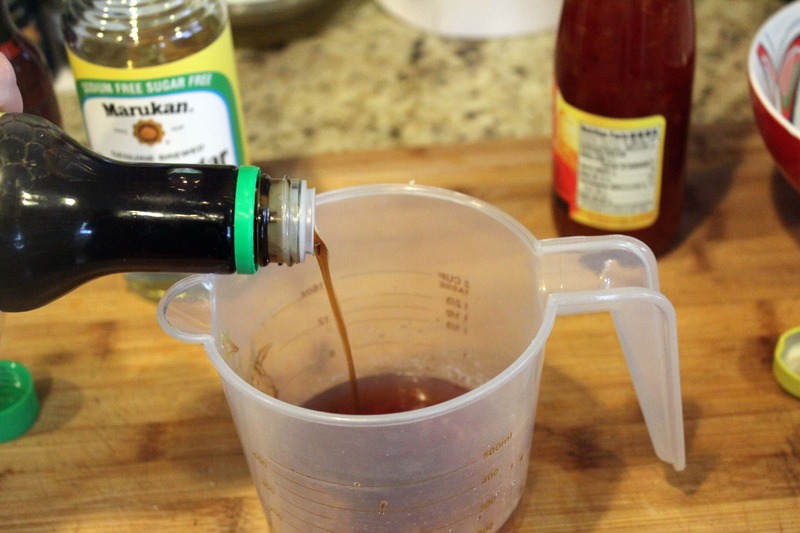 I used 1 teaspoon of chili oil to start, then added more later to make the dressing really spicy. You can add as much or as little as you’d like. 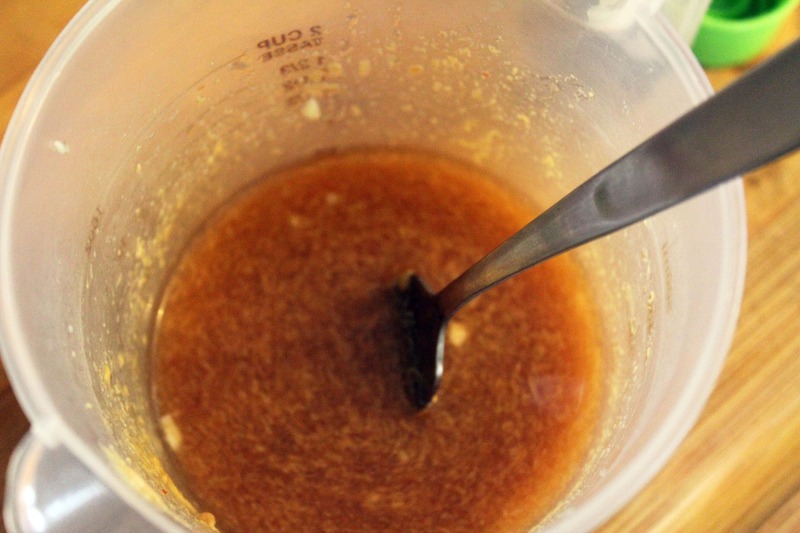 Now, use a fork or small whisk to mix the dressing until it’s smooth. Taste it, and add more of anything you’d like. 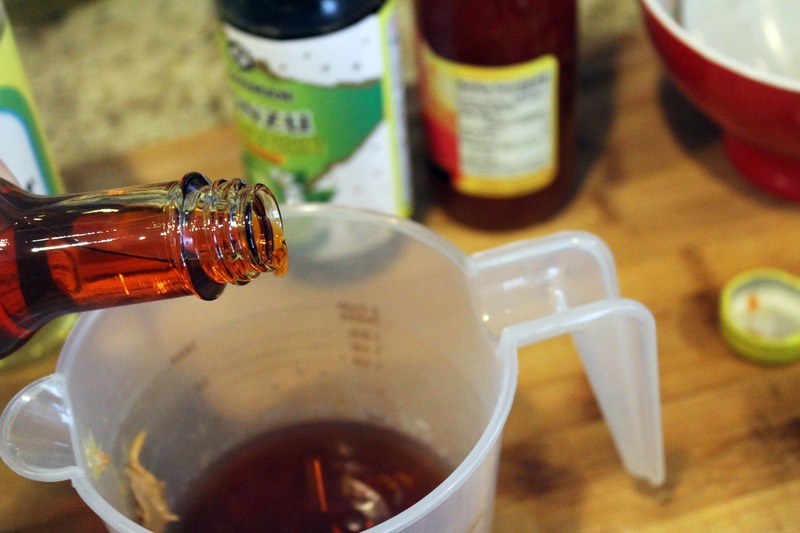 I added more vinegar and chili oil – I like things tangy and spicy. Now, onto the salad! 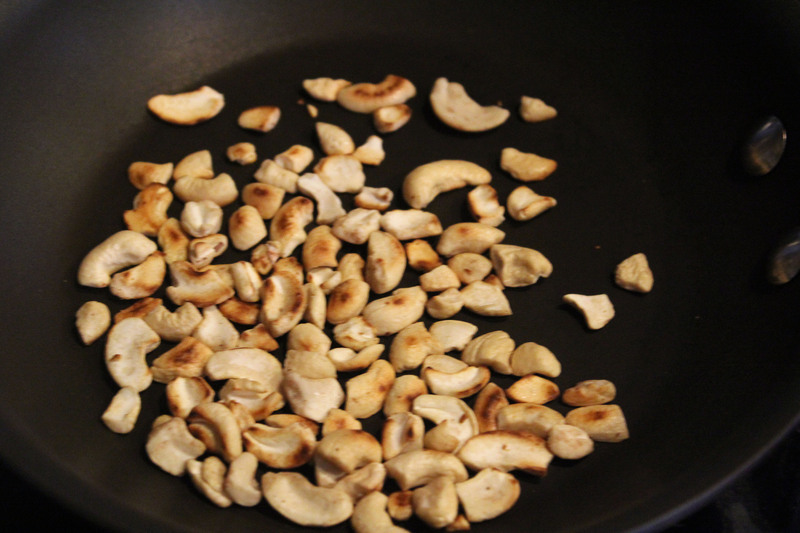 Heat a skillet to medium heat and add the cashews. Shake the cashews every 30 seconds for 3 minutes or so until lightly toasted and fragrant. Set the cashews aside. 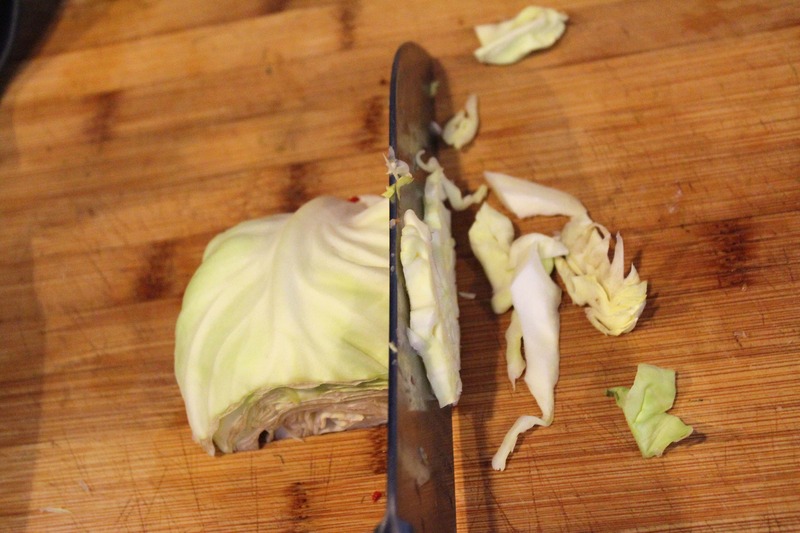 Heap salad greens on each plate, and thinly slice the cabbage. Top the lettuce with some cabbage. Cut the carrot into matchsticks. I used baby carrots because that’s what I had. I cut them into really thin planks, then cut the planks into thin strips. Pretty! 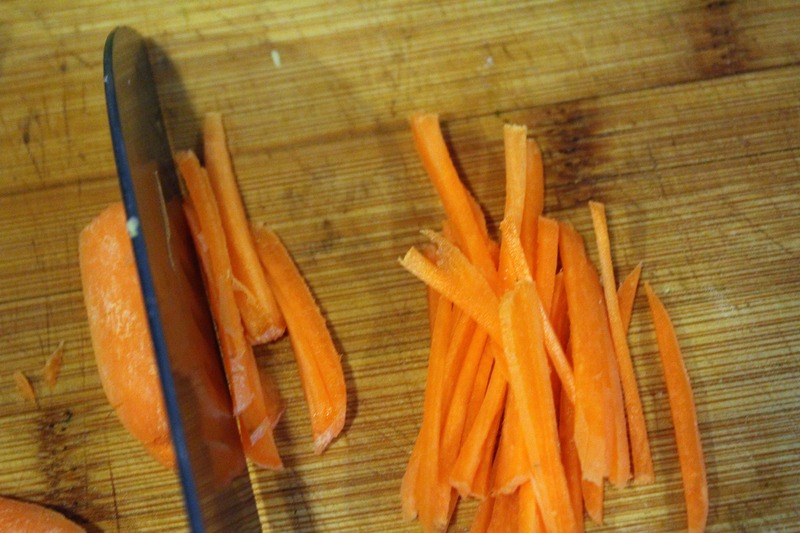 Sprinkle the carrot over the salad greens. 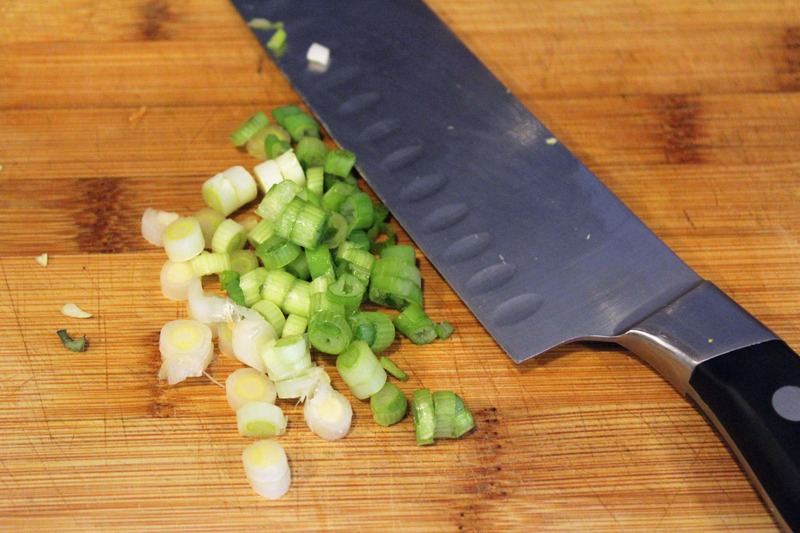 Now, thinly slice the green onion and sprinkle it all over the salads. 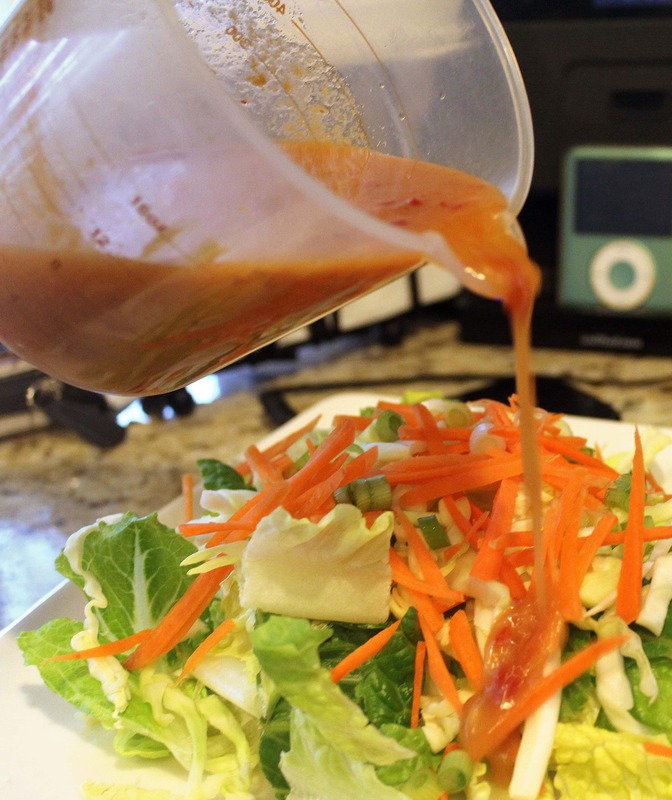 Drizzle the dressing over the salad – the dressing is strong with lots of sweetness from the chili sauce and tang from the vinegar, so don’t add too much! You want to be able to taste the veggies. 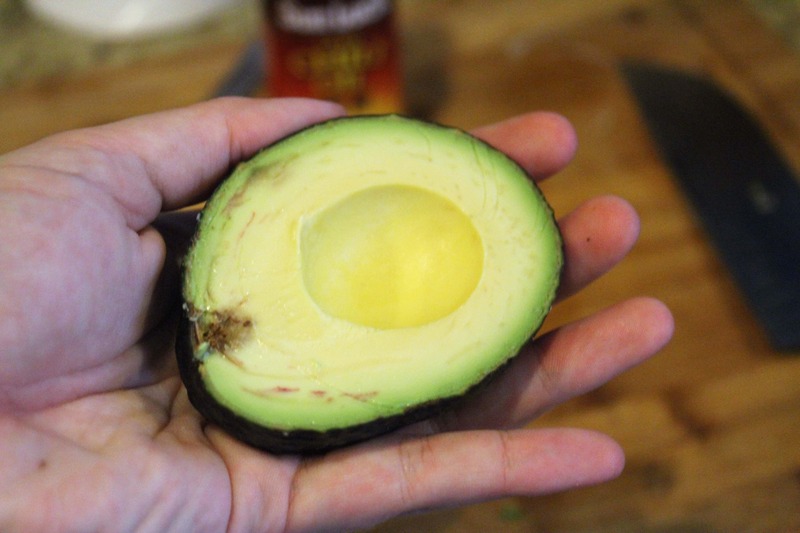 Now, sprinkle cashews over the salads and cut the avocado in half. Carefully remove the pit. 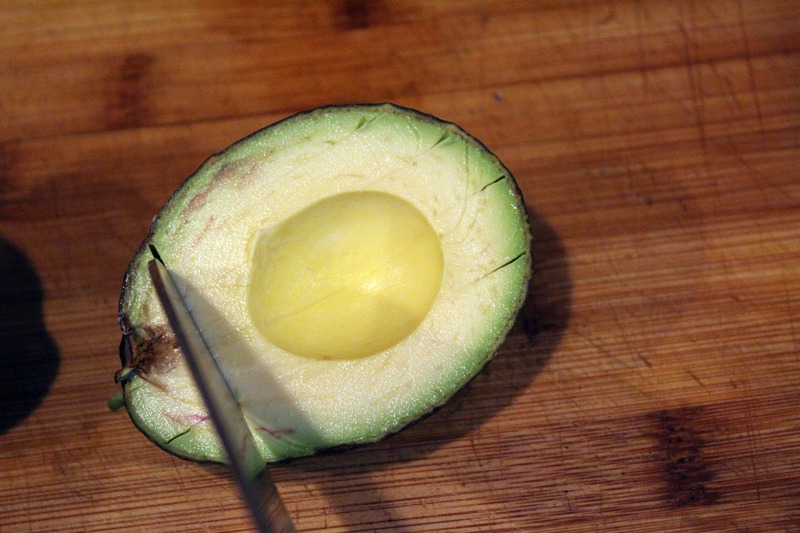 To cut the avocado, make cuts right in the avocado without peeling it in a cross motion. 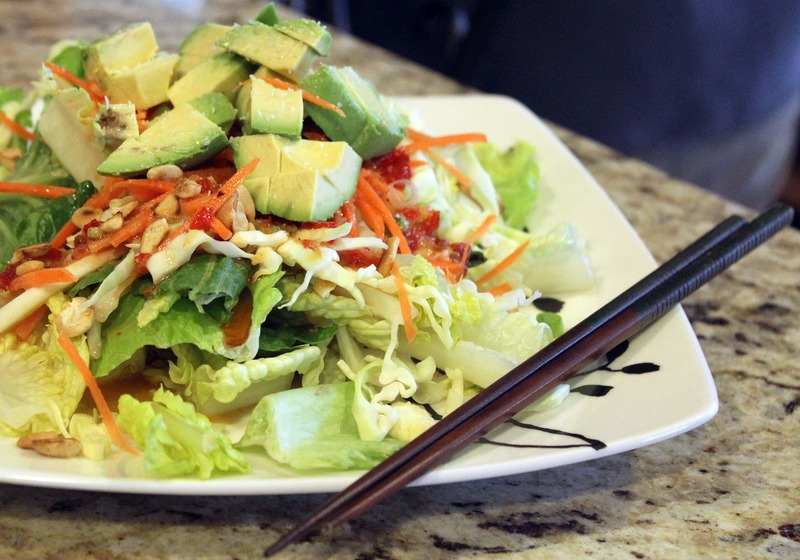 Then, use a spoon to scoop the avocado cubes right on top of the salad. Perfect! 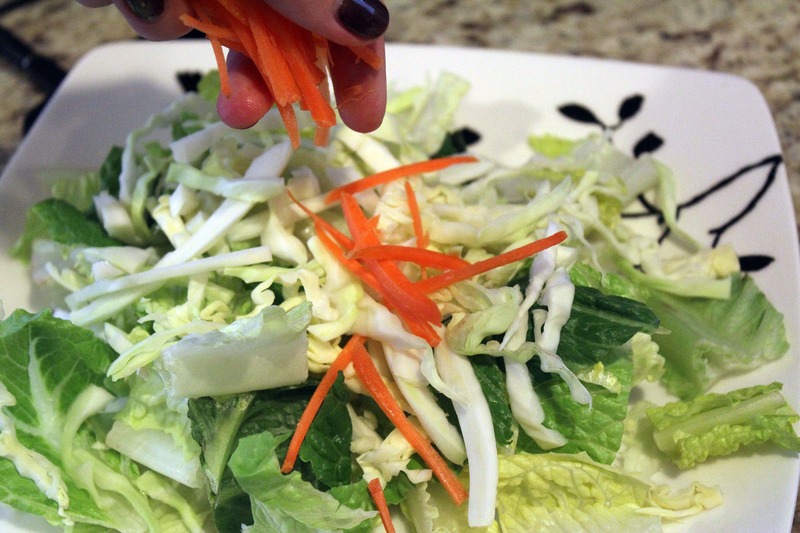 Add some cilantro, sriracha, or a squeeze of lime juice to the salad if you’d like, and you’re good to go! This was really light and flavorful and delicious. 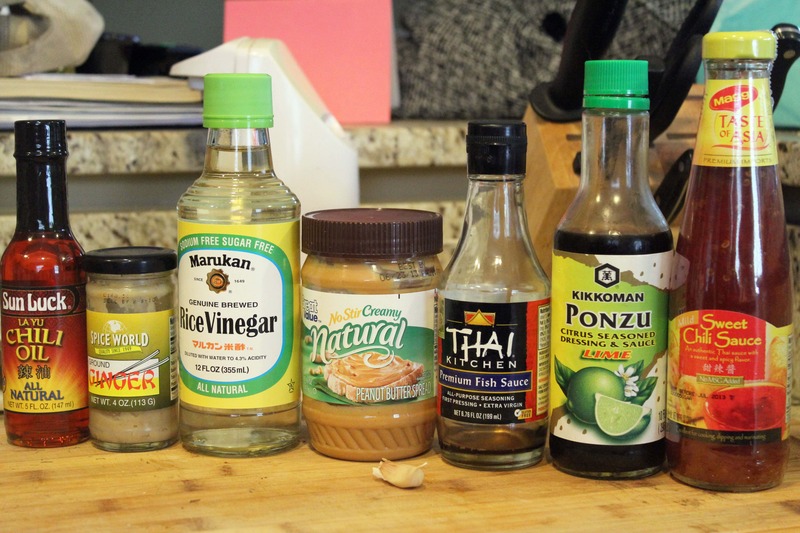 The peanut butter in the salad dressing makes it just slightly creamy, which we loved. Perfect for lunch or light dinner with soup. Enjoy!